Stijn Peeters is the senior European Technical Project Manager who has led and co-ordinated the Yaris GRMN R&D programme in Europe. Here he describes how the car was developed and explains the working relationship with Lotus. 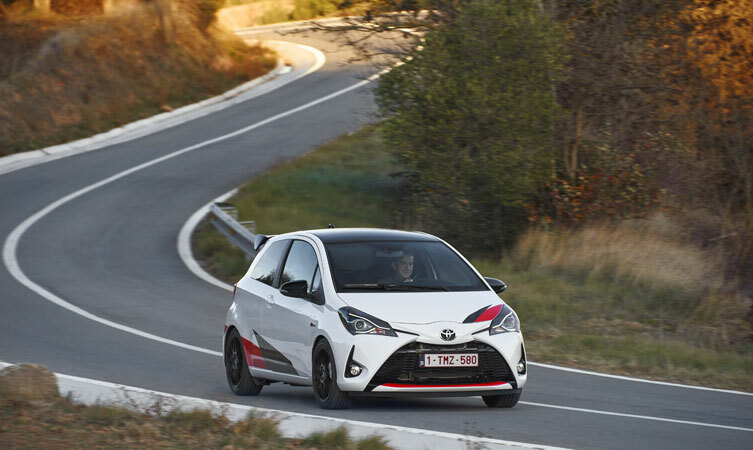 What involvement and responsibilities did Toyota’s European teams have in development of the Yaris GRMN? “Europe has had no previous experience of the Toyota Gazoo Racing brand outside motorsport, but in Japan there have already been five generations of GR-brand vehicles. This means that while a new Yaris (Vitz) GRMN is an evolution in Japan, for Europe it’s more of revolution. It was the first time we had been given the opportunity to engineer this kind of vehicle for mass production. “So, from a product point of view, it’s something completely different for us. Also, we have a much more competitive hot-hatch market in Europe than in Japan, so we had to be certain we could engineer something good enough to compete. For instance, having less than 200bhp from the engine simply wouldn’t make sense. “We already make the three-door Yaris on which the GRMN is based at the TMMF factory in Valenciennes, so it was logical for the new model to be built there. The project was also planned by my division at Toyota Motor Europe, drawing on the great knowledge base we had built up about Yaris. “The concept stage went more smoothly than we anticipated it would, thanks in large part to the fact people were inspired by the project and willing to go the extra mile to make it work. The teams showed great creativity and were able to call on their extensive product knowledge to ensure that the parts we needed to achieve the right performance were compatible. “Right from the start, vehicle performance was an eye-opener and there was general agreement that this was one of the best concepts we had driven. 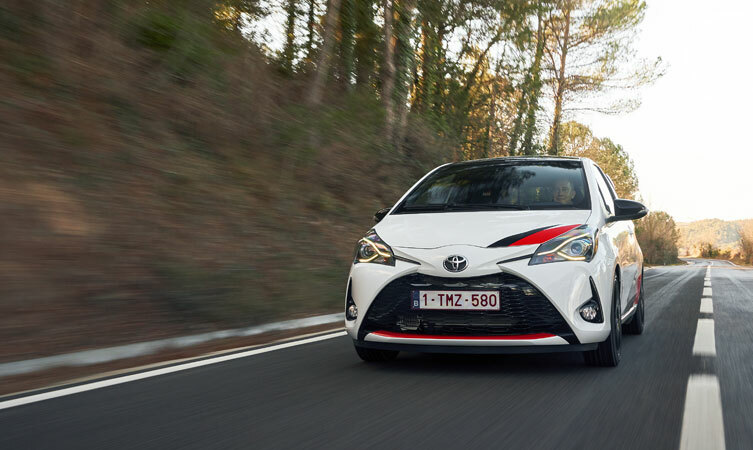 Usually you get issues around mis-match of parts, roughness and responsiveness, but with Yaris GRMN that simply didn’t happen, giving us confidence that we could deliver exactly the kind of performance we wanted for the car. How did the collaboration with Lotus work? “There was an immediate advantage, as Lotus uses a large number of Toyota products in its vehicles, so it has built up a lot of knowledge about their performance potential. They gave us lots of information about their quality results and customer behaviour, and we learned a great deal from them about low volume, high-performance vehicle manufacturing. “Toyota vehicles are typically developed to suit a wide range of customers, so it was very valuable to learn more about the specific requirements of people who drive performance sports cars. We were also given a great insight into working with a supercharged engine and managing low-volume production. What valuable things have been learned from the project and how might they be applied to future work? “We learned that we were right, that Toyota can make these kinds of products as long as the full organisation is behind them. I saw how passionate people were about this car, which was an important element in its success. It reflects on how Toyota Gazoo Racing wants to inspire not only the customers, but also the whole company, making us think again about just what we can achieve. Personally, I am very pleased that the team who can make a success of the Yaris Hybrid can also make a success of a sports model built on just the same platform. “In terms of organisation learning, we found that we could integrate Yaris GRMN into the established production line without having to train the entire workforce on how to deal with the unique parts that need to be fitted. By building a small, specialised team, we found that a low-volume model can be almost hand-crafted within a mass-production operation. I would like a Yaris Hybrid that uses the existing petrol engine, but enhances the electric side of things to give BMW i3 like performance for a lot less money – note that top speed is not an issue as 100 mph is fine. Further enhancements to the Yaris should be a PHEV version using a lithium battery under the rear seat together with cabin pre-heating and a heated steering wheel. Finally, add 2 rear “in hub” electric motors to give us 4 wheel drive. This would be my next car! Thanks for getting in touch. We love hearing customer feedback and we’ve passed this on to our product team. Thanks.